We received an email in our inbox in mid-December with the subject line- Elopement 12/30 (The 2 week bride). With such an intriguing subject line, we couldn’t wait to open it! 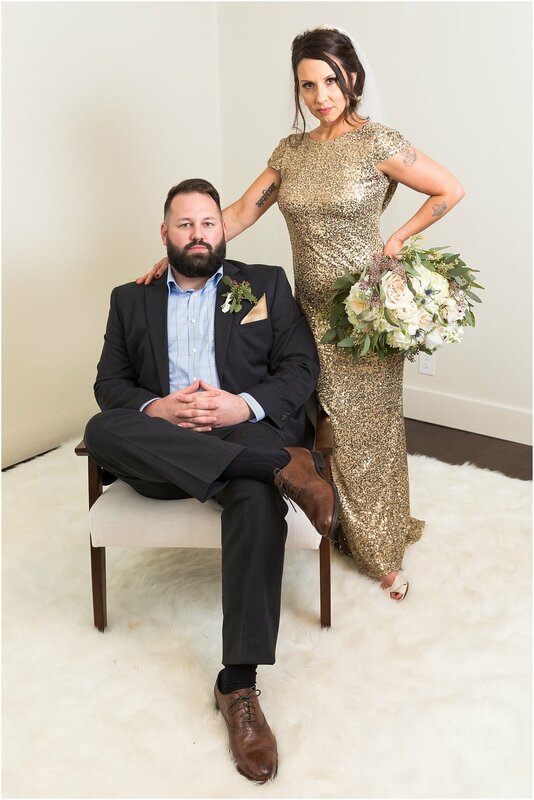 The email was from Cassandra, and she and her fiance, Steven, were eloping in Waco and wanted us to photograph their ceremony if we were free. We did happen to have December 30th free, so I (Melaina) hopped on a call with Cassandra to learn more about their plans. And what sweet plans they were! Steven & Cassandra live in the Midwest, but his family is located throughout central and east Texas. No one actually lives in Waco, but it was a central spot for all the Texas family so it was the perfect wedding location. They rented a large AirBnB in China Spring, right outside of Waco, and invited Steven’s family to join them. 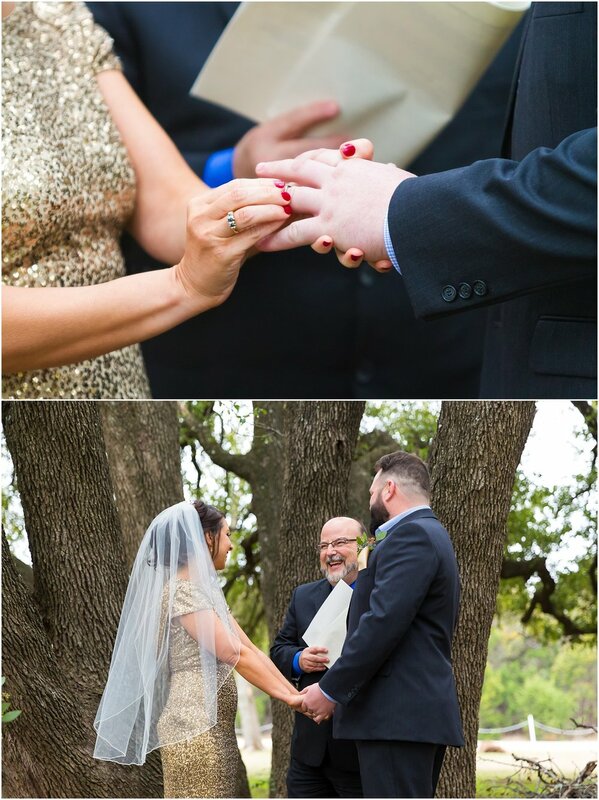 Rather than a traditional church wedding or reserving an area wedding venue, Steven & Cassandra chose to have an intimate gathering with family to witness their vows to one another right in the front lawn of the home. 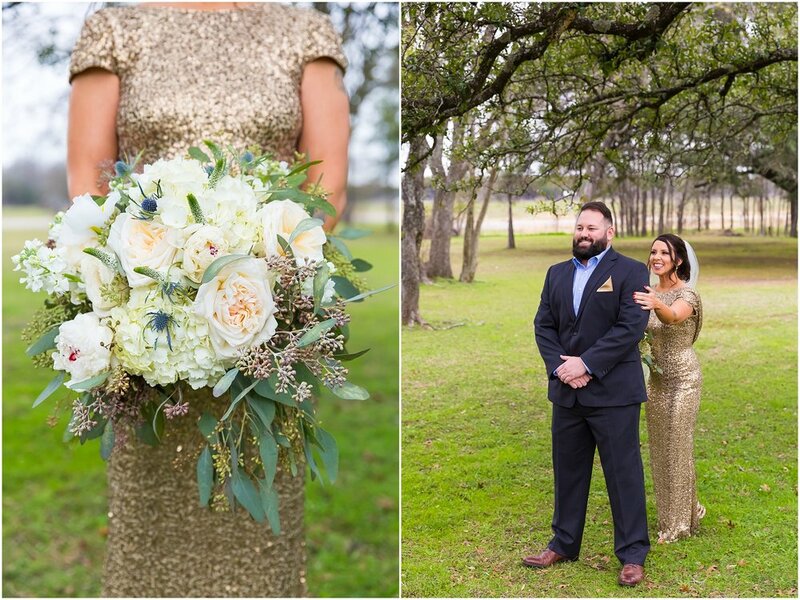 Their elopement in Waco was the perfect wedding for them- intimate and meaningful, allowing them to focus on the love they have for one another. We were only with these Sweethearts for a couple of hours that evening, but in that short amount of time so many meaningful moments occurred. When we arrived to the AirBnB, I made my way back to the master bedroom to find Cassandra. She gave me a big hug, and I admired her beautiful gold gown. The dress was a surprise for Steven, so it was so fun to watch his reaction when he turned around to see Cassandra for the first time in their first look. Throughout the evening they would smile at one another, or look deeply into one another’s eyes, or even wipe away each other’s tears during their vows. All these little moments between them really showed the deep connection and commitment they had for one another. Their connection was even more amplified when they doted on their daughter. One of the sweetest moments was when Steven carried their daughter back up the aisle with Cassandra after they were married. After the ceremony, Steven held their daughter and looked on proudly while Cassandra did a reading to mark the celebration. And one of the final portraits we captured was their sleepy daughter snuggled against her parents in their wedding attire. After the ceremony and the portraits, we said our goodbyes. Steven, Cassandra and their family were moving on to the reception portion of their wedding day - steaks cooked over the fire pit in the back yard. It was the perfect ending to the day, a time with family celebrating the new marriage that had begun. We are so happy you sent us that email! It was an honor to be with you on such a monumental day in your love story. We hope the memories of your Texas wedding ceremony will remain with you all your days, and that the loving looks you have for one another only grow as you grow old together. If you liked Steven & Cassandra’s story, here are some others you’ll want to check out!